When I think about being “honest,” I think about the benefits of an authentic organization and an authentic self. 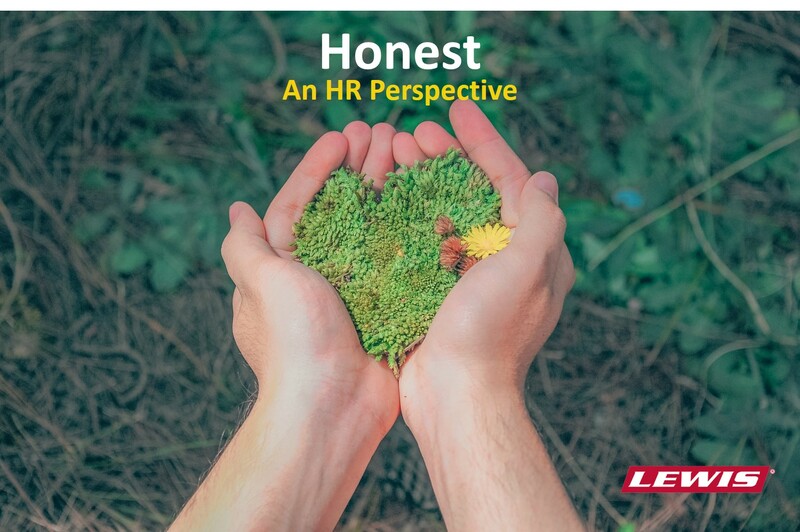 In regards to an authentic organization: The HR team is wrapping up our presentations on Respect and one question we ask during that training is, “how does your team know they can trust you?” – On almost every occasion someone mentions the importance of being honest. Being honest and transparent can be drivers for success as a leader. Telling it like it is, and delivering the news even when it’s difficult, can be challenging however necessary to build a foundation of trust. If we can find a way to be (more) honest with our employees, customers, and fellow leaders, we afford our organization the opportunity to be its authentic self. If we are an authentic organization, we will continue to build trust within, and externally. People will know who we are and will want to be a part of it. In regards to an authentic self: When you are your most authentic self, you allow yourself to be approachable – and if you’re going to be approachable, it is in your best interest to be dependable and trustworthy. Honesty is behind all of this. Being honest with yourself also affords you the opportunity to ask for help, show your true colors, and be vulnerable. While some may think of it as a sign of weakness, studies show time and time again that the individual who asks for help is actually perceived by others to be more honest and intelligent, and also displays more honest and intelligent attributes! If something is holding you back from being honest, either with others or yourself, consider why and what your options are to get back on track. I encourage us as leaders to be yourselves, ask questions, and let the world know who you are and who the Lewis Tree Family is!